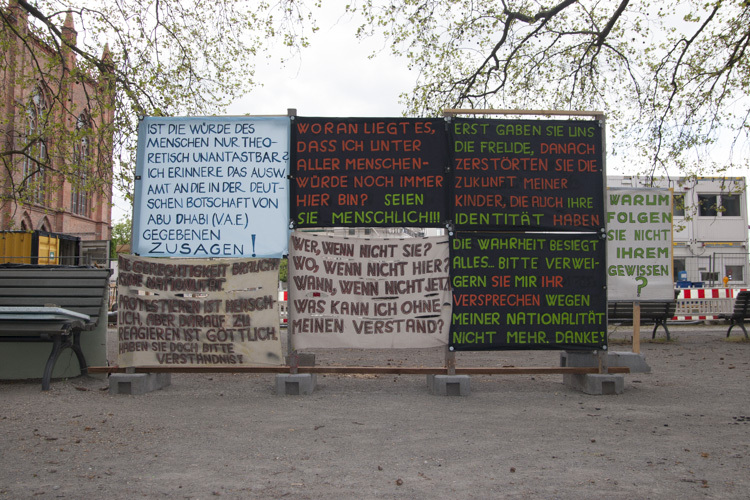 Years ago a single man erected a “protest camp” opposite of German Foreign Office. He is still protesting. Berlin, Germany.